Grossing $28.1 million in its fourth week out, Jumanji: Welcome To The Jungle ended up topping a busy weekend that also saw The Post catapulting into its belated wide-release expansion. Steven Spielberg’s Nixon-era drama about The Washington Post and its role in publishing the Pentagon Papers has been picking up awards since late November (we aren’t that crazy about it), though up until now it’s only played in a few theaters; adding almost 2,800 new screens, it earned $19.3 million this weekend to land at No. 2. The other expansion success story of the weekend was Paul Thomas Anderson’s eerie (and similarly fêted) Phantom Thread, The A.V. Club’s pick for the third best film of 2017. Though its release is still limited to a small number of arthouse theaters, the film averaged an impressive $18,468 per screen this weekend and is expected to expand into several hundred theaters next week. Paddington’s $10.9 million put it just ahead of the week’s other troubled wide release, Proud Mary, the new film from London Has Fallen director Babak Najafi. 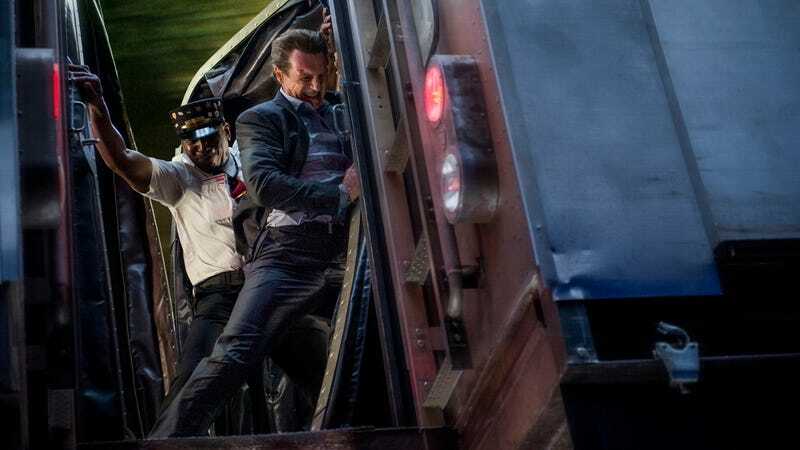 Preceded by a media champaign that shrank noticeably before all but vanishing into thin air, the not-screening-for-critics action film grossed $9.9 million to land at No. 8. Apart from Insidious: The Last Key, which dropped to No. 5 and $12.45 million after its No. 2 opening last week, the rest of the Top 10 was filled out with holiday holdovers and blockbuster victory laps, including The Greatest Showman (No. 4, $12.5 million), Star Wars: The Last Jedi (No. 6, $12.1 million), Pitch Perfect 3 (No. 9, $6 million), and The Darkest Hour (No. 10, $4.5 million). Because time travel doesn’t exist, the present numbers don’t factor in today’s weekend-extending holiday; with a lot of young children off from school, expect more family-friendly releases like Jumanji and Paddington 2 to get the biggest Martin Luther King Jr. Day boost.